When I found out that my favourite author was going to be doing a signing in London, I had to go. Especially as she rarely comes to this part of the world due to her fear of flying. You see my favourite author writes two of my favourite series of books. Books I have re-read four and five times over (no easy feat considering one series is 24 books and counting). They are my go to books when I need to escape life. I’ve been an avid reader for as long as I can remember; devouring books and I hope that Emma will be the same. 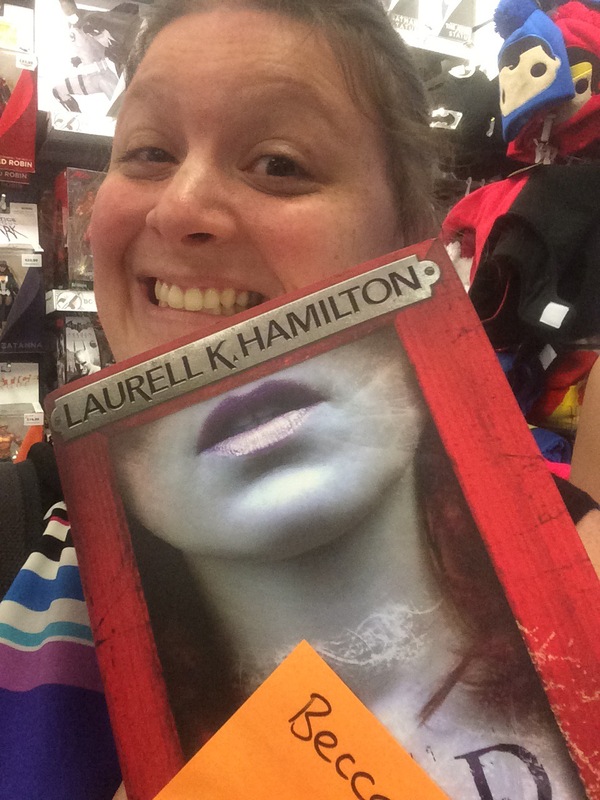 Laurell K Hamiltons books have graced not only my bookshelves and my kindle but also the NY Bestseller List; that’s how good she is. Her books pull you in. The first one I read, happened to be book 12 in the Anita Blake series. Not the greatest book to start a series on, it was quite confusing; but I was hooked. I own every book released now, and continue to collect them. Today was amazing. I stood on a queue for three hours before finally getting to meet my heroine. The woman who inspired me to write my own stories. I don’t think there have been many occasions where I have felt this happy; this ecstatic; this elated than I do right now. The excitement at the start was immense. Then I met Jon, Laurells husband. He was awesome. Told him that I was so excited and star struck to be meeting Laurell; he was great, calmed my nerves and made me laugh. He pointed out my tattoo and gave me a fist bump, we’re both lovers of seratonin! There she was; saying hello, and I told her how much I loved her *cringe* and that she inspired me to write. She was amazing. Thank you Laurell! 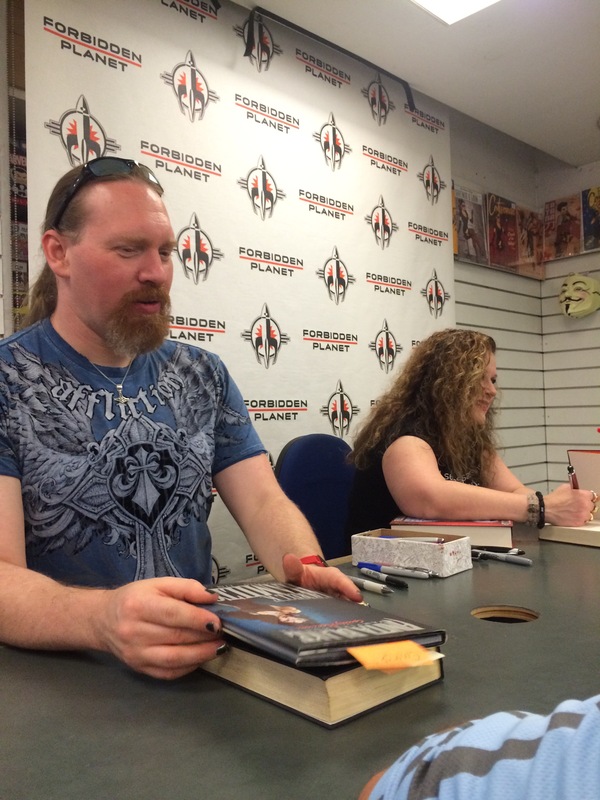 Thank you Forbidden Planet for making it happen! 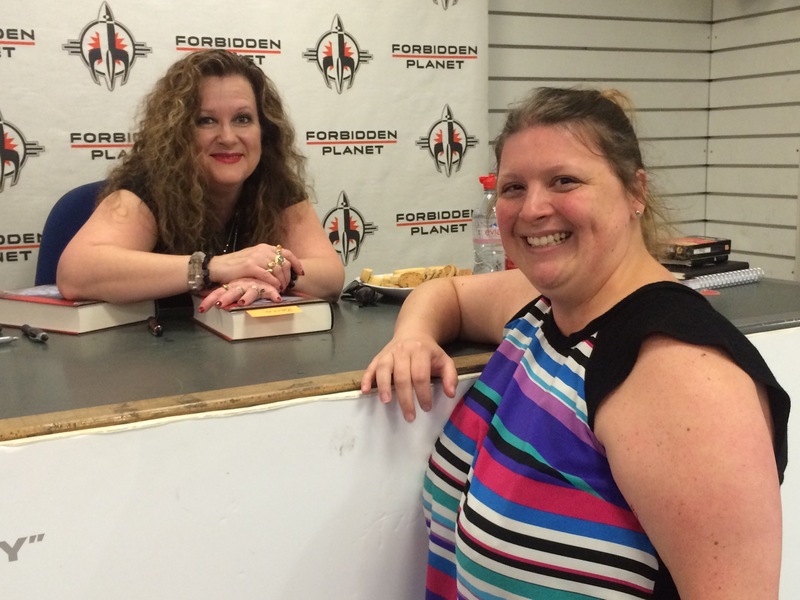 Author beccaPosted on August 7, 2015 Categories Anita Blake, books, Life, Merry GentryTags anita blake, books, forbidden planet, laurell k hamilton, merry gentry, signingsLeave a comment on Merry Meet!